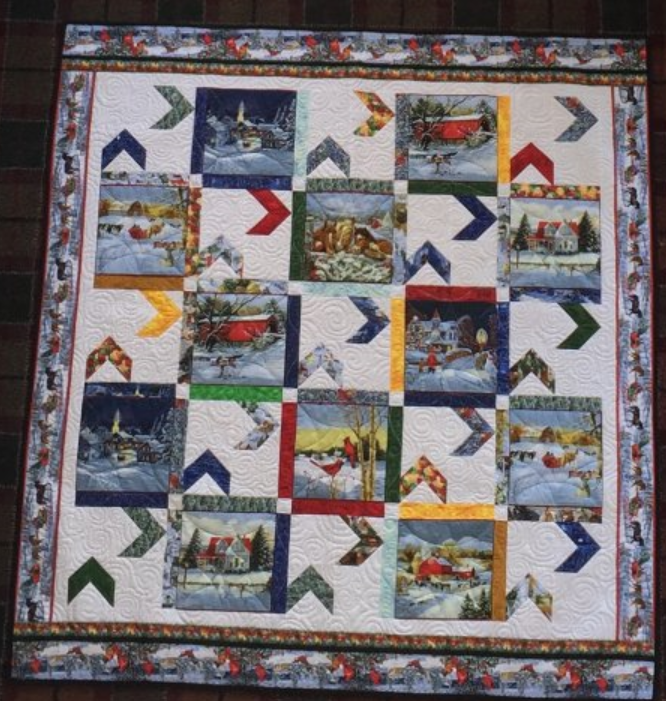 Quilt kit includes pattern and fabric for this 71 inch by 71 inch quilt top including binding. Fabrics are from Blank Quilting Let it Snow Fabric line. Pattern is the Sun Kissed Cutie pattern.